Why can some organizations innovate time and again, while most cannot? You might think the key to innovation is attracting exceptional creative talent. Or making the right investments. Or breaking down organizational silos. All of these things may help--but there's only one way to ensure sustained innovation: you need to lead it--and with a special kind of leadership. Fot those special leaders the Bulgarian Association for People Management is organizing the I-st People Management Conference. 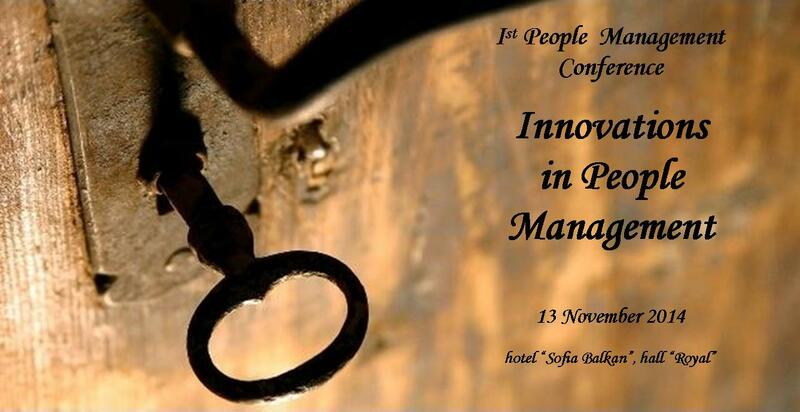 The topic is "Innovations in People Management". The date - 13 November, the venue - Sofia Hotel Balkan. The conference is a new event that builds on the traditional autumn HR forum of the Association. In order to be useful both for HR managers and experts and for other functional managers, the program of the event will offer a good balance between new people management concepts and concrete innovative practices. Leading lecturers from Europe and the USA will share their ideas and surveys. We will have the opportunity to learn from the best global companies. I-st People Management Conference is a new interesting challenge based on a stable tradition. The conference is suitable for HR professionals on different levels and for managers of other departments and functions who believe that people management is crucial for their success as leaders.